PARTICIPATING exhibitors at the recently concluded 13th Negros Island Organic Farmers Festival (NIOFF) have generated a total sales of P1.86 million. The figure is higher by almost 13 percent than last year's sales of P1.65 million. Themed "Organic Agriculture: The Greening of Negros Island," the four-day festival was held at the Capitol Grounds in Bacolod City until Saturday, December 1. Reports from the Office of the Provincial Agriculturist (OPA) showed that on the first day, participating producers earned P357, 912.75. It increased to P486, 192 on the second day. Higher sales were also noted during the last two days at P503, 630.80 and P503, 630.80, respectively. The total sales generated account for 237 exhibitors comprised of individuals and associations, it added. In 2017, participating organic producers and practitioners generated P336, 670.50 on the first day; P394, 916.36 - second day; P349, 636 - third day; and P568, 197.72 - fourth day. Provincial Agriculturist Japhet Masculino earlier said the annual NIOFF has provided exhibitors, especially organic farmers and producers, opportunity to earn more. Masculino said this year's festival underscores the push for a green island through one, advocating more for organic agriculture. "As the province continues its bid to green the island, there is a need to further maximize its potential in further developing the local organic agriculture industry," he added. The province currently has about 16,000 organic practitioners with combined areas of almost 15,000 hectares. For his part, Governor Alfredo Marañon Jr. has vowed to sustain the provincial government’s movement on developing the organic agriculture industry. Marañon said the annual event has been attracting many visitors especially those coming from other countries. “So we should sustain our organic agriculture movement in the province which we started 13 years ago,” he added. 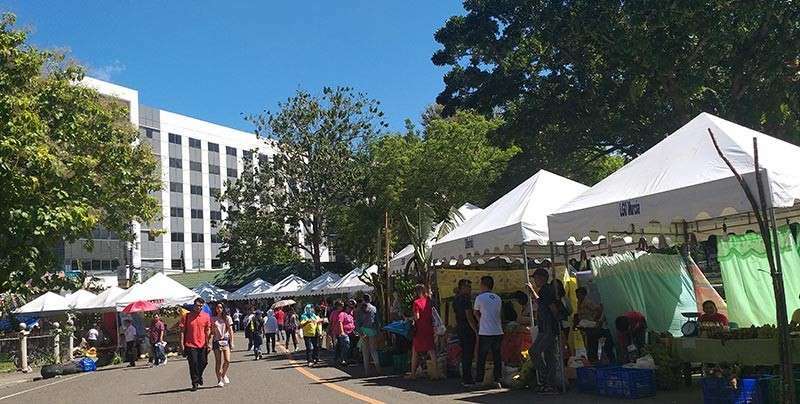 Aside from agri-fair, the four-day activity also included lectures, trainings, seminars, and the showcase of sustainable innovations and technologies practiced by different organic farmer-producers and advocates in the island.